"Your Satisfaction is My Most Valued Property"
Our Mission is to provide a personal business environment where virtue, innovation, and excellence define the principles and practices of our company and its agents, ensuring our clients a successful and rewarding real estate experience. We will be happy to provide all the information you need to buy or sell real estate in Santa Monica, Brentwood, West Los Angeles, Venice, Pacific Palisades and surrounding areas. As one of the premier boutique real estate agencies in Santa Monica, we look forward to serving you, and will be happy to help at any time. Whether you are a first time homebuyer, or a seasoned veteran, we have all the resources you need to buy or sell real estate in Santa Monica, Brentwood, West Los Angeles, Venice, and Pacific Palisades. Find out how much your property is worth and how we can help you get top dollar for your home. Robert Katz, a native New Yorker, began his real estate career in 1978. His first agent position was in the recently opened Brentwood office of Tim Corliss and Associates on San Vicente Boulevard. A few years later Robert joined Jon Douglas Company's newly established Santa Monica office. He along with a handful of other ambitious agents laid the foundation for what was then recognized as one of the most dynamic branch offices in the company. Having proved himself as an authority in condominium tract sales, Robert represented Earnest Auerbach on four of his recently completed townhouse developments in Santa Monica. Since that time Robert has expanded his marketing area to include the entire Westside and has sold all types of properties from luxury condominiums on the Westside, to estate properties in Santa Monica, Brentwood, Pacific Palisades, and Beverly Hills. Robert has cultivated relationships with many business managers, and consequently represents numerous celebrity clients. Robert continues to enhance his education and knowledge of real estate, enabling him to stand far above his competition. In July of 1985 he received his broker's license after attending courses at U.S.C. In addition, he has accumulated approximately 90 hours of Real Estate Law and over 50 hours of course work in taxation and exchange. Giving back to the community is an important part of Robert's personal philosophy. For seven years he has been a C.P.R. instructor and for nine years was a member of the Santa Monica Boy's and Girl's Club Council, which raises hundreds of thousands of dollars annually. In October of 1992, after having an especially successful year in real estate sales, Robert was promoted to Assistant Manager of the Jon Douglas Company's prestigious Montana Avenue branch office. When a Management position became available at the Bel Air Office in December of 1996, Robert seized the opportunity. Somewhat disillusioned with the direction that the larger conglomerate companies were heading (stronger focus on company profits than customer service) Robert again recognized an opportunity in November of 1998 when the boutique Beverly Hills office of Nourmand and Associates approached him to open their Brentwood Branch office. 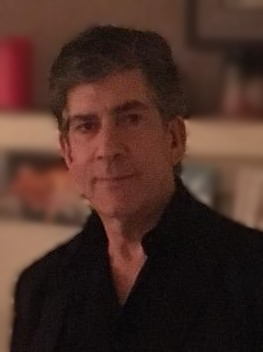 Today, Robert can be found at the helm of his own company, Robert Katz & Associates, delivering unparalleled service to his loyal and devoted clients.